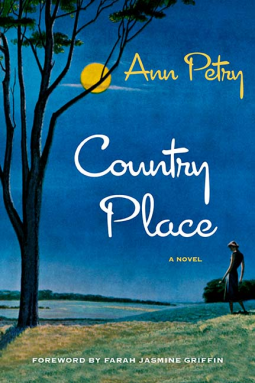 Originally published in 1947, Ann Petry’s classic Country Place depicts a predominantly white community disillusioned by the indignities and corruption of small-town life. Johnnie Roane returns from four years of military service in World War II to his wife, Glory. They had been married just a year when he left Lennox, Connecticut, where both their families live and work. In his taxi ride home, Johnnie receives foreboding hints that all has not been well in his absence. Eager to mend his fraying marriage, Johnnie attempts to cajole Glory to recommit to their life together. But something sinister has taken place during the intervening years—an infidelity that has not gone unnoticed in the superficially placid New England town. Accompanied by a new foreword from Farah Jasmine Griffin on the enduring legacy of Petry’s oeuvre, Country Place complicates and builds on the legacy of a literary celebrity and one of the foremost African American writers of her time.